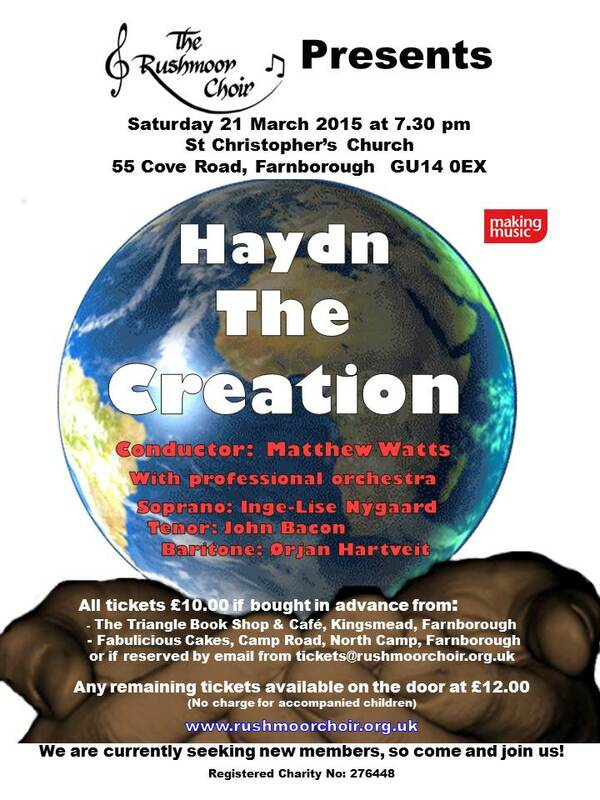 On Saturday 21 March 2015 at 7:30pm the Rushmoor Choir will be performing Haydn’s oratorio The Creation. This is one of the great choral works and should be a great experience for the choir and audience alike. Matthew Watts will be conducting the choir and a professional orchestra. There is also an international line up of soloists, all of whom currently base their careers in London. Tickets cost £10 if bought in advance and any remaining tickets will be available to purchase on the door. Click here to find out how to obtain tickets for the concert.